Garage Door Installation You Can Trust! 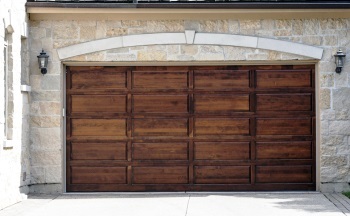 Need to replace your home’s old, broken garage door? The garage door in your house is one of the most important areas to focus on and this is the main reason why you may need our services for garage door installation and replacement. At King Door and Lock Maryland and DC, we have ample experience to take care of little problems with your garage door hardware like broken cables, opener issues, off tracking of the door, and rusty torsion springs that could be hazardous to your vehicle and yourself. We have performed garage door replacement and installation for various residential garages in Maryland and DC and our customers love us for our up front pricing, fast and friendly work, and 24/7 door services. The garage door installation and replacement professionals that we send to your home are licensed and experienced in residential garages. Our professionals have dealt with a wide variety of doors and handle most of the issues without any hassles. At King Door and Lock Maryland and DC, we understand that you want your garage door to last forever. After all, this is one area on the exterior of your house that you use every day. We don’t want you to suffer because of poor-quality or badly installed garage doors and this is why all of the material we use is top quality. We offer fast and friendly, 24/7 garage door services because we value the time of our clients. If you have a busy and hectic work life and can’t afford to take time off for garage door installation and replacement, don’t worry because our professionals can be at your doorstep as and when you want. Even if you need any emergency garage door services in Washington DC and Maryland, we will be there to help you out. Since we are locally based, we can be there in the shortest time possible. Having served Maryland and DC for over 10 years, we don’t want to cause any losses to our clients. This is why we offer up front pricing. This is the best quote you will get in the market and we assure you that we don’t change our quotes or try to charge you extra once the job is finished. We are dedicated, honest, and dependable in our work and this is the reason why we have such a loyal clientele. Don’t get duped by DIY tips and tricks online on how to fix your garage door yourself. Our technicians are equipped with state of the art tools and also have the technical know-how for garage door installation and replacement. Leave everything to us and we promise that you will be satisfied with the results. 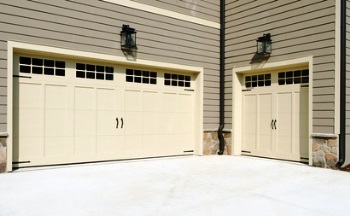 Our garage door experts have installed and worked with a lot of different garage doors. If you are confused about different door styles, sizes, and materials, feel free to consult with our friendly technicians and staff. We will definitely help you out. Call us now and get a free quote for our garage door installation and replacement services. Garage Door Installation and Replacement https://kingdoorandlock.com/garage-door-installation/ 4.0/5 based upon 29 reviews.